Prospect Heights and parts of Crown Heights will wrap up the system's final planned expansion later this year. Citi Bike’s 2017 expansion is underway in Harlem and Astoria. Station installation began in Harlem on September 12 and in Astoria last Friday. The Harlem expansion is mostly complete, with 34 of 49 planned stations now active on the Citi Bike system map, while western Queens is just beginning to get its complement of bikes. 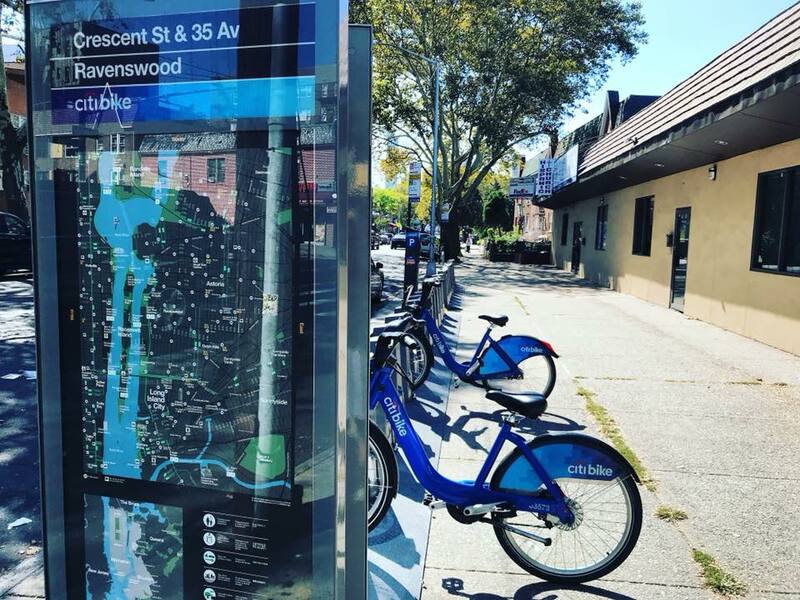 Expansion has yet to start in Prospect Heights and parts of Crown Heights, where a few dozen stations are slated to be installed. All told, this year Citi Bike is adding 140 new stations and 2,000 bikes, increasing the size of the system by about 20 percent. Negotiations are currently underway between the city and Citi Bike operator Motivate for another phase of expansion. The contours of that deal reported involve adding 6,000 bikes at no cost to the city, with two-thirds of those going to areas not currently within the service area. Even if that deal gets finalized, it wouldn’t be enough to reach many neighborhoods where bike-share would be well-used. An x factor in this equation is the potential for new dockless bike-share companies to expand access. Last month, DOT said it’s still working out how the new services should fit into NYC’s bike-share offerings. We are working hard every day to maintain and improve the growing fleet of bikes that helps you get around town. In the course of regular maintenance operations, we have recently observed a very small number of cases of unexpected damage to the front end of some of our bikes. As a precautionary measure, we have temporarily removed the potentially impacted bikes from service for further inspection. Your safety is our first priority, and so we are taking an abundantly cautious approach to finding the cause of this damage and ensuring it is fixed. Unfortunately, that means you may notice a reduction in availability of bikes while these bikes are being inspected. This is a busy and exciting time for Citi Bike, and we will be working hard to return bikes to the street as quickly as possible. In the meantime, our staff will be putting in extra hours to speed up repairs and get bikes to stations where they’re needed. We appreciate your patience and look forward to continuing to provide you with safe and reliable service. I signed up for Citibike on Friday because it’s coming to Astoria, luckily there will be a dock right outside my front door! But I worry that there will be some serious balancing problems. There’s not much to draw anyone to the docks west of 21st street in the morning, the majority of people will want to head towards the NW, both for jobs around 31st and to get on the train. So I can see a situation where there are no bikes left by 8 am on the western side of Astoria. I’m still waiting for the stations closest to me, but the impending price hike got me to sign up at the last minute when I realized it was coming. I’m glad there’s discussion of further expansion, but it shouldn’t come with higher prices. CitiBike is already quite possibly the most expensive system in the world. All of the new stations seem to be on sidewalks, which I have mixed feelings about. Interesting, I wonder what kind of damage. Their statement of “a very small number” seems to conflict with a noticeable reduction in supply. I don’t think it’s necessarily inconsistent. They may have observed a very small number of damaged bikes, but there can be a large number of potentially damaged bikes (say, all of that model or batch) that need to be inspected, and if enough of them get taken offline for inspection at the same time, it could be noticeable. Still trying to figure out how SAFELY to reach the Citibike station at Park & 124th to get to Harlem-125th MetroNorth. Park Ave scares me, and the only bike lane is on 120th. Also, seems like a shortage of docks (36) at this station. A supermajority on the City Council says Mayor de Blasio should funding in his 2018 budget to expand the bike-share system to more neighborhoods.